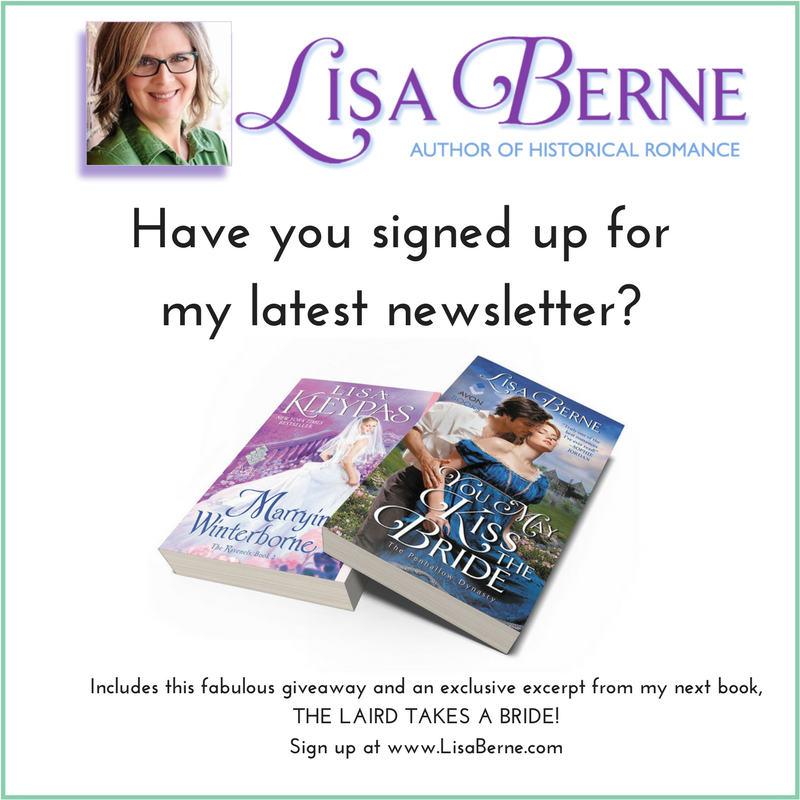 My latest newsletter . . .
. . . is going out on June 16th, with an exclusive excerpt from my next book, The Laird Takes a Bride, my latest news, and a chance to win print copies of Lisa Kleypas’ Marrying Winterborne and my own You May Kiss the Bride. If you haven’t already, would you like to sign up? You can find an easy-peasy signup form on my Facebook page as well as on my website. Want to learn more about You May Kiss the Bride? Click here. For more about The Laird Takes a Bride, coming your way this August, click here.